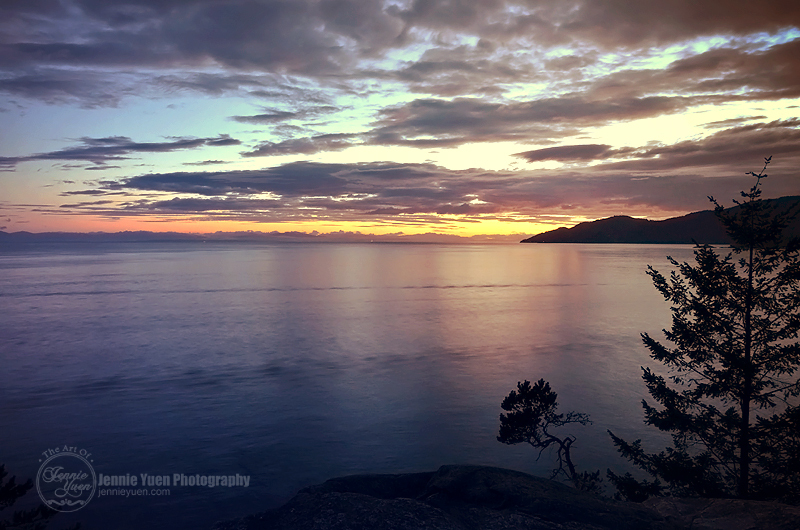 This photograph was taken at Point Atkinson located in West Vancouver, BC. It shows a sunset view looking toward the Strait of Georgia. At the southernmost tip of the peninsula is Point Atkinson Lighthouse. It is one of the popular parks in Vancouver and a National Historic Site of Canada.